Traveling with food allergies: always an adventure! I used to enjoy traveling. Don't get me wrong. I still love poring over friends' photo albums. I reminisce with my husband about taking a Thai cooking class and finding the cheapest massage ever while exploring the streets of Chiang Mai. And I still aspire to see more of Asia, more of Europe, and the other three continents I have yet to explore. Once my eldest son, Ryken, was born I knew it would be a lot harder to travel with the adventurous attitude of my kidless years. Kids need routines, not to mention good sleep and flexibility, and the confines of planes, hotels, and restaurants can throw off kids. Little did I know that having kids with food allergies would not only make travel MUCH harder but it would make travel almost completely unattractive to me. Now, the beautiful images of pristine blue waters and white sands are marred by anxieties over a lack of safe restaurant choices. Ziplining through lush rainforests and sleeping among trees have been ruled out because you certainly won't find a fully equipped hotel suite with kitchen up a tree in a jungle and who knows where the nearest hospital will be. Visiting the grandparents in China has been put off indefinitely because we do not trust that we will get clear answers on what is in our food and cross-contamination is way too risky in a country that doesn't have or deal regularly with food allergies like our own. Despite my legitimate concerns over travel, it is sometimes necessary for us to travel. 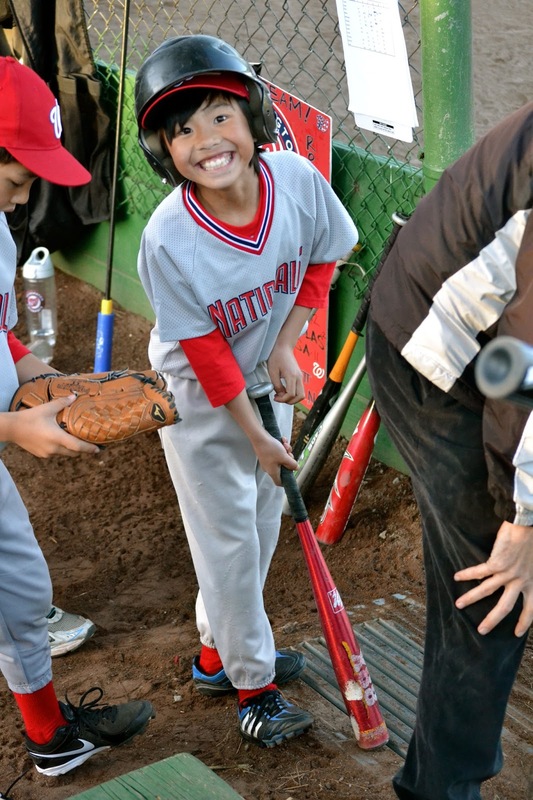 And we do want our kids to experience fun places and activities that their peers do, too. My husband is great about overriding my anxieties and insisting that we take advantage of spring break and take a family trip. Since we had such a fun time last year in southern California, we decided to plan a very similar trip with days in Disneyland's California Adventure, Legoland, and the sunny, beachy areas of San Diego. were other big pluses at Homewood Suites. Even though we had access to a kitchen, I did very little "real" cooking during on our vacation. It's more like I use hotel kitchens for the refrigerator to store sandwiches and ice packs that we take into amusement parks for our safe lunches. And a microwave is handy to throw together mostly already-prepared (and previously-vetted) into some semblance of a meal. It's too hard for me to prepare any of our usual meals without a fully stocked kitchen. And I often have no energy to spend a couple hours cooking after a full day of exploring, driving, or having fun in the sun. Anyway, shouldn't I get to relax a little, too? It's a family vacation, after all. (and there were many) good fun for the kids! We feel very comfortable having most of our trip food come from Trader Joe's because it's familiar and safe. However, we did try to break up the monotony. We ate at five different restaurants during our week-long road trip, three of which we had safely eaten at before which. Out of the five restaurants, we had problematic experiences at two of them. And guess what? One of them was a restaurant we have frequented many times before and the second was a restaurant chain highly recommended by many food-allergic eaters! The first restaurant was actually our favorite local Thai spot. We had ordered takeout the night before our drive to Southern California. And as usual, I had spoken to one of the servers and explained the kids' food allergies which the server quickly recognized -- we must be the only "regulars" with milk/peanut/tree nut allergies. We ordered our usual pad see ew noodle dishes with steamed tofu (never deep-fried in case frying oil is reused and contaminated with milk and nut particles). This is a dish we've eaten over and over again without any problems. And the kids again had no problem with the noodles. A day later, while spooning out some leftovers for Ryken and me, imagine my panic when I discovered HALF OF A PEANUT in one of our untouched boxes of pad see ew. My heart almost leapt out of my chest when I spotted it. Sadly I think it might be a really long time before Ryken is comfortable eating Thai food from a restaurant again. 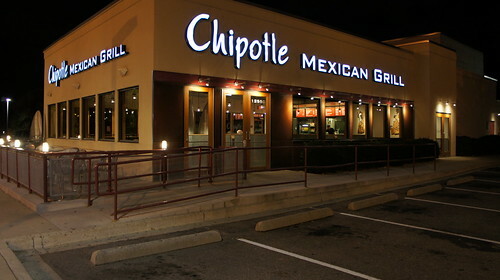 The second restaurant that we had problems with was Chipotle Mexican Grill. The Chipotle chain has been touted as a good option for people with various food allergies. The company's lists major allergens in each menu item on their website and proclaims that their food is completely egg-free, nut-free, shellfish-free and fish-free. Dairy products are limited to the cheese and sour cream so, in theory, someone with a milk allergy could get a safe meal so long as proper care has been taken to prevent cross contamination. We tried Chipotle as I had read a lot of positive reviews from other food allergy parents. Sadly, it wasn't a good experience for us. Ryken developed a stomach ache a few minutes into eating. He claims he felt a little stomach ache before dinner but it was clear to us that his stomach ache intensified after he began eating. We monitored his symptoms and kept our EpiPen Jr. packs close by while we rushed back to the hotel. His stomach started feeling better after about half an hour from when we ate. I can't say for certain what Ryken reacted to -- cross contamination of milk or maybe he has an undiagnosed allergy to a less common ingredient (maybe a spice) used in the cooking process? All I know is that we had big hopes for being able to add another safe restaurant to our very short list but it was not meant to be. I don't regret the decision to try eating out with the kids but I am very grateful the reactions were under control. And despite those two incidents, we still had a fantastic time. But I can't tell you the enormous sense of relief I felt to come back home -- forget sleeping in my own bed, I was relieved to cook our meals again in the safety of our milk-free, nut-free kitchen! Phew. I sure could use a vacation after the vacation. Until we meet again, gorgeous San Diego beaches! My 8-year-old has been going through a huge transition year that I was not fully prepared for. I must admit I didn't see third grade as being such an important year in my food allergic child's life, and I've been caught off guard by some of the challenges he's been faced with at school. There has been food-allergy associated teasing and bullying, resulting in a lot of hurt feelings and confidence issues. One of the reasons why I loved his school to begin with was the Nuts Table. No, not the No-Nuts Table. The Nuts Table. If kids choose to bring nuts to school in their lunches, they must sit at the Nuts Table. Too bad our school only implements it from kindergarten through second grade, then it changes to a No-Nuts Table. And for us, this was the year the trouble began. I've tried to speak to them about it, but alas, this is their policy. Well, you know what they say. Try, try again. It doesn't take much to understand that our kids would rather be part of a team than on the bench. If your child's school already has a No-Nuts Table, then they already have a table designated for a group of children. Perfect. With a little reeducation, our food allergic children can sit with the masses. It is my personal mission to try to change as many No-Nuts Tables into Nuts Tables as possible, through forward-thinking allergy-conscious people, like you! 1. Like I said, all it takes is a table and a bit of education. It's so easy to implement, it's almost a no-brainer. There are a plethora of rules and procedures associated with the lunchroom anyway, all of which are necessary to keep it running smoothly and safely. This is such an important one for our school communities, in order to lead by example and demonstrate inclusion at lunch time. 2. Most food allergic children will experience a sense of isolation and teasing along the way; we don't need to exacerbate this divide by putting them at their own table at lunch, too. It's heartbreaking to think that this divisiveness could be avoided. A Nuts Table says to our food allergic children, "Hey, we want you to be safe, but not excluded." 3. A No-Nuts Table punishes kids who have no choice about their food allergies, while a Nuts table empowers children who actually have a choice about what they eat to consider their food preferences more carefully. 4. A Nuts Table confines nuts, residues, and crumbs to one table, thus making a more thorough and focused table cleaning possible, and resulting in less allergic reactions due to cross contamination. 5. A No-Nuts Table gives lunchroom monitors a sense of false security when it comes to food allergies. It assumes that the possibility of an allergic reaction is highly unlikely. In reality, about a third of children with food allergies have multiple food allergies, which means that these children still need to vigilantly follow safe practices at the No-Nuts Table. 6. The Nuts Table is a wonderful means for every child to educate her parents about food allergies and about making food choices that affect us all. After all, the parents are the ones making the lunches, but the kids have a say in what they want for lunch. I've read enough stories similar to my son's to know that the No-Nuts Table, although a good first attempt at keeping our food allergic children safe, is a bit outdated. We can do better for our children. Please read, pass this on to your school administrators, friends, and family. And thank you for always being your children's greatest advocate!